Access All Areas members have a hot new collection of vector graphics and patterns to download this week, courtesy of Freepik. These flamingo themed patterns and bird graphics are produced in a colourful watercolour style. 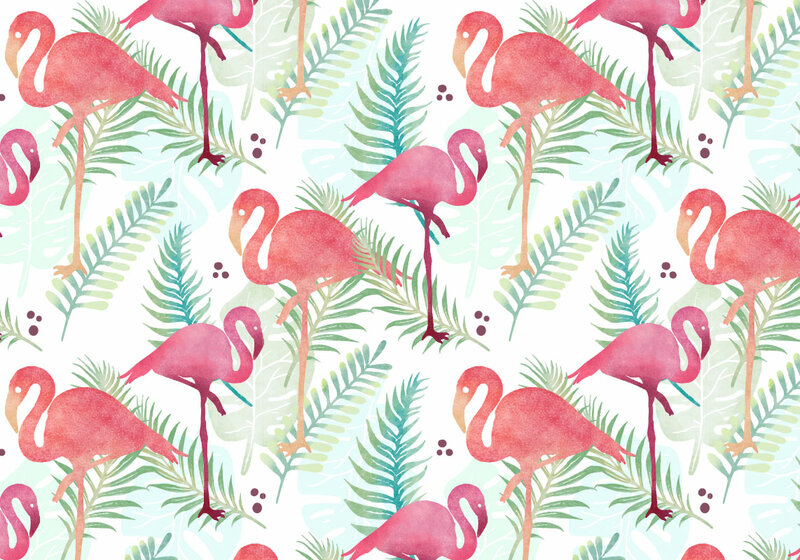 There’s 10 repeating patterns with a tropical summer vibe, plus 10 individual flamingo graphics, all 100% vector. Use them to add an exotic touch to your design projects! This Tropical Flamingos pack contains a variety of paradise themed patterns and graphics, featuring birds, sunglasses, fruit, popsicles, palm leaves and flowers, all in a colourful watercolour art style. Each pattern file contains a swatch that will seamlessly repeat when applied as a fill, or the elements can be expanded and ungrouped for individual use. Thank you! I love flamingos in art!! These are stunning! Very helpful.